March into Merivale, the recession busting promotion that has been running offering $33 meals, is almost over and I only managed one visit! 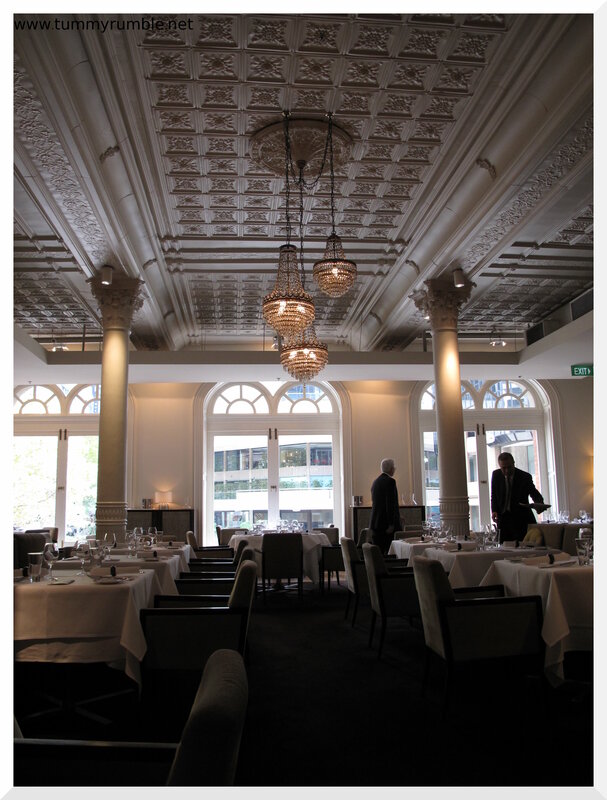 But I made sure it was to the best: Est Restaurant…awarded three hats by the SMH Good Food Awards, and with Peter Doyle at the helm it is consistently reviewed as one of the best restaurants in Sydney. DeskBuddy and I were suitably excited and looking forward to our lamb, which we had picked out of the weeks’ offerings. Neither of us having visited before, we had no idea what to expect with respect to decor or service beyond knowing that it was fine dining. Our booking was early, for 12pm, and when we arrived the lift was still locked, so we retired to the main bar of the establishment to wait, as did many other early lunchers. We were quickly seated near the centre of the restaurant, and handed menus. As we’d previously perused the menu, and were having the set meal, all we were really looking at were possible side dishes and potential desserts! 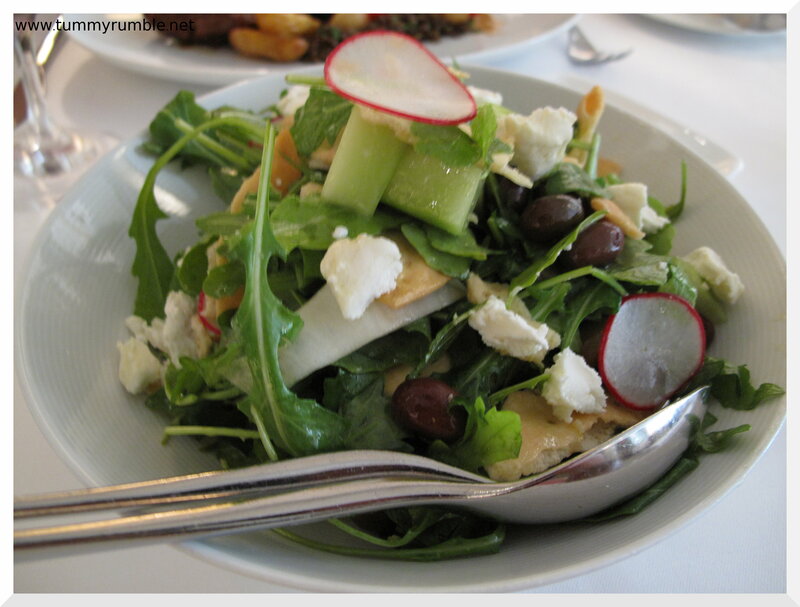 We settled on a side salad of radishes, rockets, cucumber, goats fetta, olives and cracker bread..
Our wine was poured, red for me, and white for DeskBuddy, as we waited for our main. 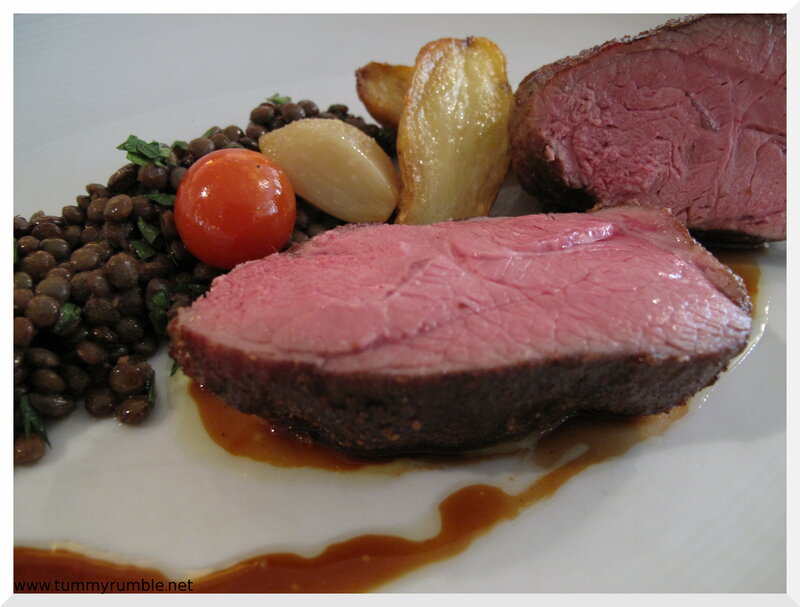 It was an enormous serve of meat, perfectly cooked, juicy and tender…For $33, fantastic value! The side salad we ordered was also delicious and a slightly unusual take on fattoush, a middle eastern salad with broken up pieces of dried flatbread. We were stuffed! it was a very high protein meal! Seriously the lamb was huge! We had thought about dessert, but when we looked at the menu and saw that they averaged $25 each we passed, and settled on petits four and coffee instead…This proved to be a good idea as we were so full.. The only disappointment was our coffee. Utter rubbish. They really shouldn’t bother at all. So bad no amount of sugar could compensate and they were both left almost full as we left. The nicest touch was the Maitre’d and a waiter making sure to come over and say goodbye to us as we left. What a shame that this is almost over! That looks like a generous serve indeed. 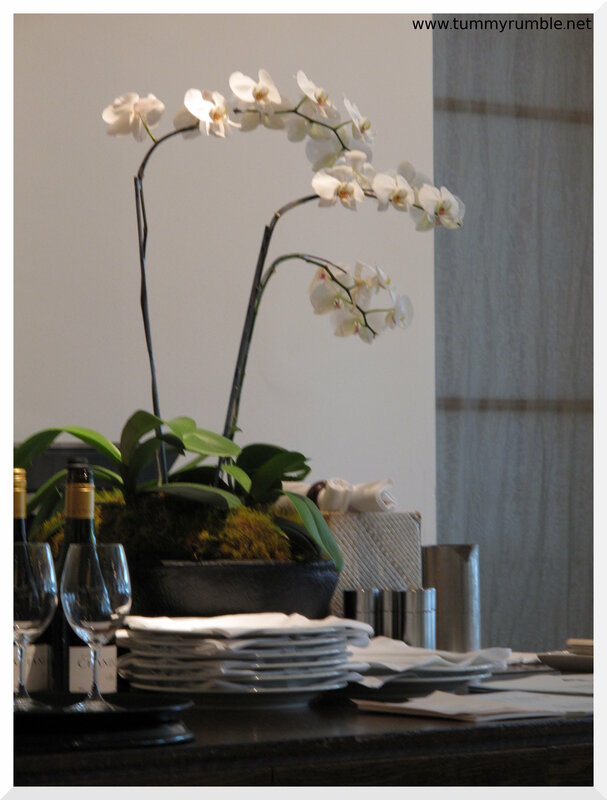 I have very fond memories of a lunch past at est. 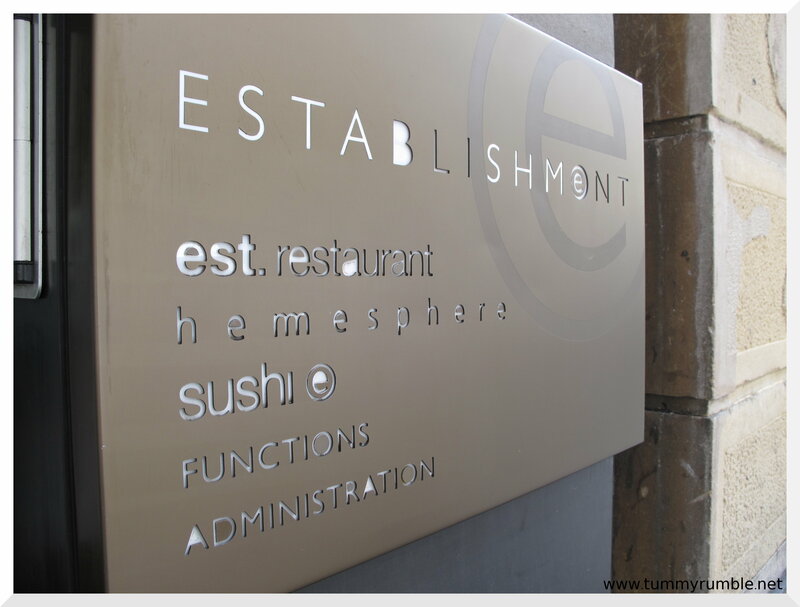 Est is one of my FAVOURITE restaurants. Last time I came here there was 4 of us and we ordered the degustation and ordered everything on the menu. And we have 6 desserts. My tummy was having a party! The food was sooo good. $33 is great value for est! That looks lovely-did you need to have a nap under your desk back at work to get through the protein haze though?! @ Cakes The glass of red did more damage than the protein, but we stopped and got proper coffee on the way back to the office and got through on the sugar/caffeine buzz! @ Teresa that sounds amazing and decadent! Was it a special occasion? 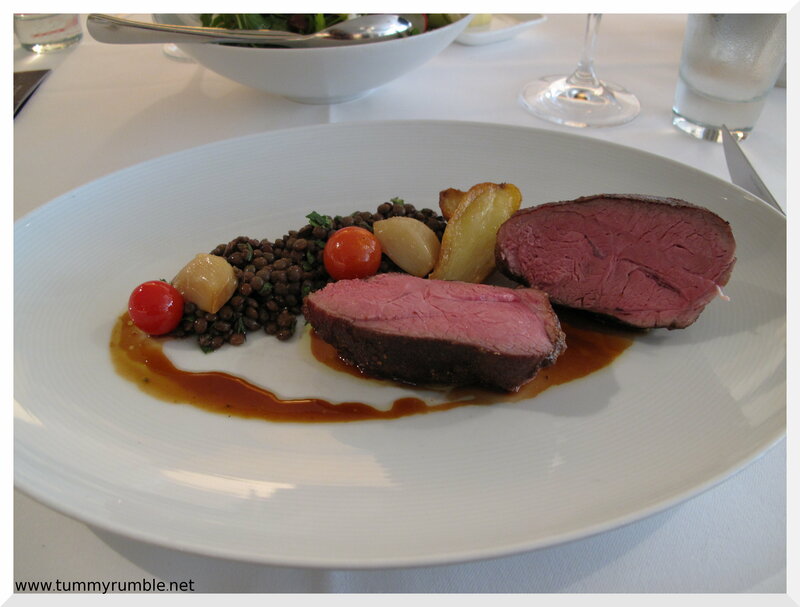 Doesn’t that lamb look fabulous! 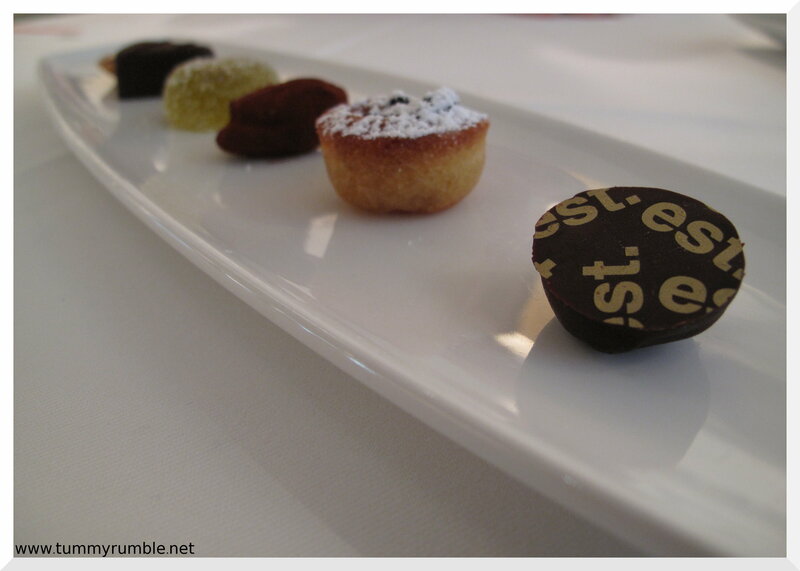 The petit fours too! I really want to try Est! Sighhh March is nearly over 🙁 The lamb looks so tasty mmmm. The jelly is olive oil (100% sure) and vanilla (50% sure)- I’ll get back to you re. that.